Posted on Wed, Feb 15, 2012 : 12:50 p.m. Increased funding for roads will ultimately result in fewer orange barrels around the same stretch of road every few years as the "Band-Aid" approach to road repairs is replaced by reconstruction that will last much longer, says Mike Nystrom is executive vice president of the Michigan Infrastructure and Transportation Association. Gov. Rick Snyder demonstrated his leadership style of relentless positive action by stepping out with an infrastructure message last October and then reinforcing it in his January State of the State address, which both called for increased transportation funding. Progress on providing that funding for Michigan is being paved with a bi-partisan package of bills that is making its way through the Legislature. The bills include important revenue enhancements and reforms that will ultimately help Michigan's economy and benefit every Michigan driver. Infrastructure is a basic public service that needs to be provided for by our government. 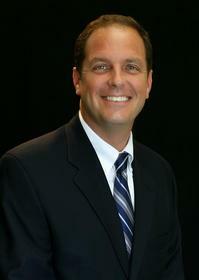 Mike Nystrom is executive vice president of the Michigan Infrastructure and Transportation Association. Because of inadequate funding, most road agencies in Michigan have been struggling to provide basic public service, such as filling potholes, repairing bridges, snow plowing and trimming grass. In addition, many have made significant changes to become leaner and more efficient with taxpayer dollars. In order to boost investment, we must consider adjustments to the traditional user fees such as fuel taxes and registration fees. These are the only two revenue sources collected by our state even as prices at the pump fluctuate drastically each week. Not a penny of the 6 percent sales tax that is paid on every gallon of gas is dedicated to Michigan's roads and bridges. While the infrastructure legislation moves through the Legislature, there has been much debate in the media regarding whether or not lawmakers need to "tread carefully" with any plans to raise the gas tax and registration fees. What we need to focus on even more are the benefits the legislation will provide to the public. What will our return on investment be if we increase funding for transportation in Michigan? The first answer is jobs and economic growth in all major segments of our state affected by transportation, such as tourism, manufacturing and agriculture. Secondly, increased funding will provide for fewer crumbling roads and safer bridges. Thirdly, funding will ultimately result in fewer orange barrels around the same stretch of road every few years as the "Band-Aid" approach to road repairs is replaced by reconstruction that will last much longer. Temporarily filled potholes will be replaced by improved pavement; "plywood diapers" that appear under bridges to keep the crumbling concrete from smashing windshields will become a distant memory; and transit systems will be updated, especially in congested urban areas. Finally, the reforms that are included in the package will help guarantee that taxpayer dollars are being used wisely and efficiently. All of those benefits will be possible because of increased revenue to fill the transportation funding pot that has been steadily dwindling. In real inflation-adjusted dollars, the revenue that is collected today for our infrastructure is equal to that which was collected in 1974; and yet, the cost of construction materials, such as steel, cement, asphalt, and diesel fuel, have escalated dramatically due to global demand. If legislators do nothing with regard to increasing transportation investment, we risk a continuing fiscal crisis. Currently, 32 percent of Michigan's roads are ranked in poor condition. It is estimated that by 2018, this number will jump to over 65 percent. Moreover, historical data tells us that bringing a road from poor to good pavement condition costs six times more than it does to bring a road from fair to good condition. We cannot continue to kick the can down the proverbial pothole riddled road. The time for finding a solution for Michigan's dramatic infrastructure needs is now. What we need is continued relentless positive action on the part of our elected leaders in Lansing, and we encourage them to be bold and long-term in their thinking. The proposed package of bills will benefit every single resident of Michigan, the state that put the world on wheels. An improved surface transportation network will foster an economic resurgence, improve public safety and will lay the foundation for Michigan to once again be considered a premier place to live and do business. Mike Nystrom is executive vice president of the Michigan Infrastructure and Transportation Association (MITA), and co-chair of the Michigan Transportation Team (MTT). MITA described itself as a statewide association representing the interests of the heavy construction industry. 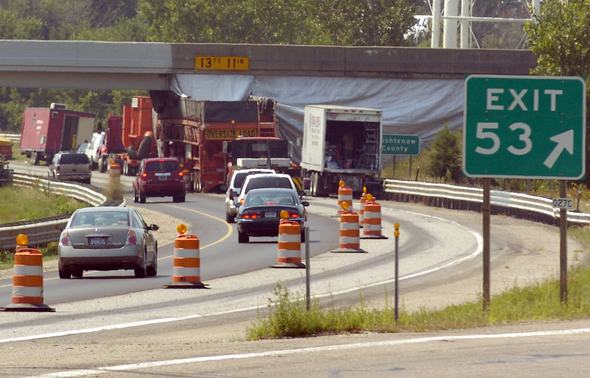 MTT is a coalition of over 80 companies, associations and labor unions with a common goal of obtaining increased funding for Michigan's roads and bridges. For more information, visit www.drivemi.org. Thu, Feb 16, 2012 : 3:48 p.m.
Thu, Feb 16, 2012 : 12:39 p.m.
Everyone acknowledges the fact that we need to address the infrastructure but no one wants to pay for it. Sounds familiar. The sooner you address the problem the less it will cost in the long run. Thu, Feb 16, 2012 : 12:03 p.m. While some of his statements are true, this isn't really an 'opinion' story, but more like a free political advertisement to help gain support for his lobbying group. Thu, Feb 16, 2012 : 2:02 a.m.
Quality is the most important item. For example, Washtenaw Road in Ypsilanti is 50 years old still parts are highly functional. Can anyone even imagine that any road built today would last that long today? Perhaps the state should take a look at how bidding/building is done in Europe, where a company has to supply a performance bond for the life of the project. If the road fails the builder has to repair at their expense. Eliminates all of the incentive to cheat the second the state inspector turns his back. Perhaps if the people getting squeezed for more tax dollars would feel better about it if we saw some protection in our investment. Thu, Feb 16, 2012 : 12:15 p.m. Efficiency in work habits would be nice too. A few weeks ago, I seen one WCRC sign crew take one 8 hour day to drive nine steel sign posts into the ground (just the posts! ), and the next (8 hours) day came back &amp; bolted the signs on. How can anything get done at this rate? Wed, Feb 15, 2012 : 7:45 p.m. Wed, Feb 15, 2012 : 7:26 p.m. I am all for increased revenue for transportation, but it must be spent wisely. No more unnecessary highway building! Instead, we need to invest in repairing current infrastructure and modernize and expand our transit systems. Wed, Feb 15, 2012 : 7:07 p.m.
Let's face it, we need money for roads and infrastrucure. The loss of businesses, residents coupled with more fuel efficient cars has reduced the funds needed to maintain out road network. I don't want to pay more taxes, but I will to get done what is needed to be done. Wed, Feb 15, 2012 : 6:56 p.m.
&quot;important revenue enhancements&quot;...that means tax increases. &quot;adjustments to the traditional user fees such as fuel taxes and registration fees&quot;....that means tax increases. The benefits...well for sure Mike's buddies and cronies are on the receiving end of the revenue enhancements and adjustments he so eloquently speaks of. Do we get better roads and bridges ? I wish I knew. Wed, Feb 15, 2012 : 6:41 p.m. Sounds great doesn't it. New roads for everyone to enjoy and making Michigan economically strong to boot. Nystrom left out who will pay the lions share for all these improvements. Increased gas tax at the pump and auto fees (another tax ) will fall on the backs of the already strapped middle class. The tax and spend republicans are at it again. Wed, Feb 15, 2012 : 9:27 p.m. It beats spending on art though he has a problem there too.